QGIS trunk now comes with a separate tool called “QGIS Browser”. 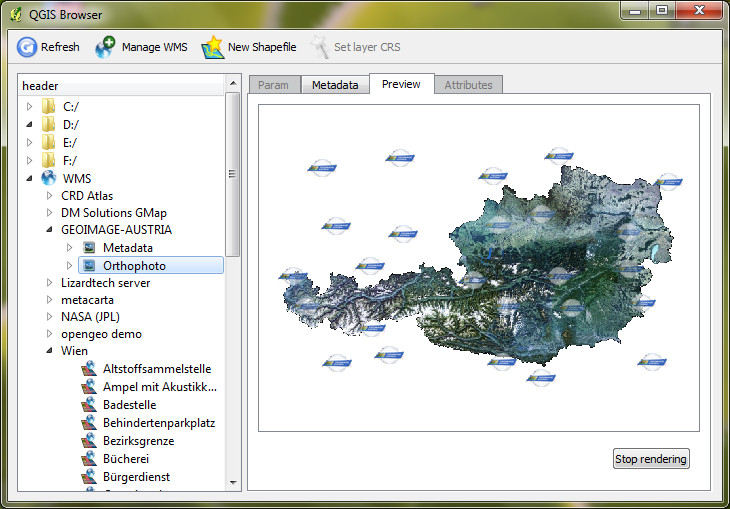 It enables the user to browse through all spatial data files on the system as well as all WMS configured in QGIS. Both files and WMS layers are listed in a tree widget on the left side while metadata, attributes and a preview can be seen on the right. This is a great way for example to check through all layers of a WMS fast and without having to go through the “Add WMS Layer” dialog in QGIS all the time.